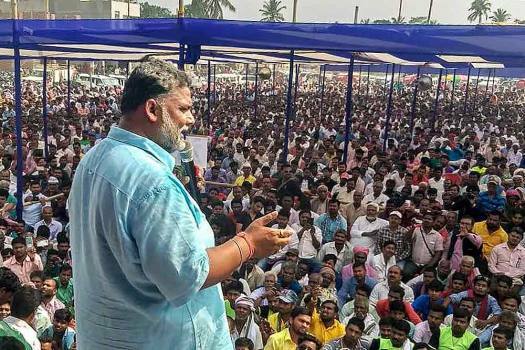 Jan Adhikar Party chief Rajesh Ranjan aka Pappu Yadav addresses a campaign rally after filing nomination for Madhepura seat in the upcoming Lok Sabha elections, in Madhepura. 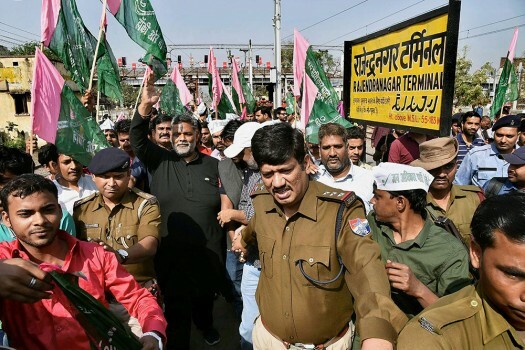 Police personnel arrests Jan Adhikar Party Chief and MP Pappu Yadav and his supporters during Rail Chakka Jam programe at Rajendra Nagar Terminal in Patna. Jan Adhikar Party leader Pappu Yadav at Parliament House during the ongoing parliamentary winter session, in New Delhi. 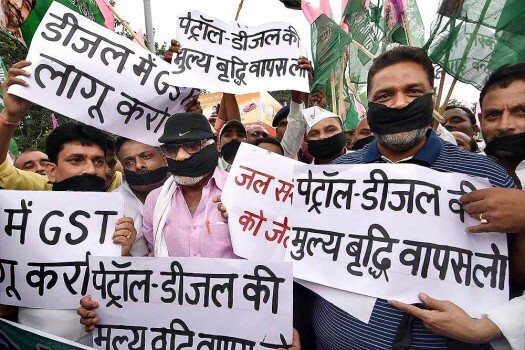 Jan Adhikar Party chief and MP Pappu Yadav, along with supporters tying black cloths on their mouths, holding a protest march against fuel price hike in Patna. 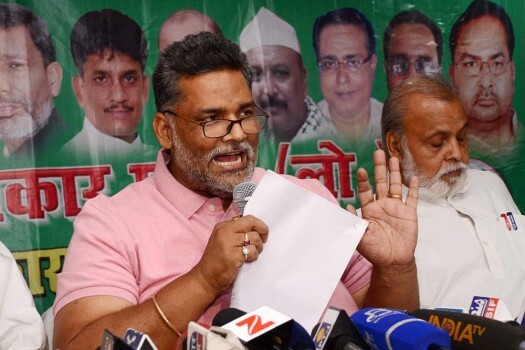 Jan Adhikar Party chief and MP Rajesh Ranjan alias Pappu Yadav addressing a press conference at his residence in Patna. 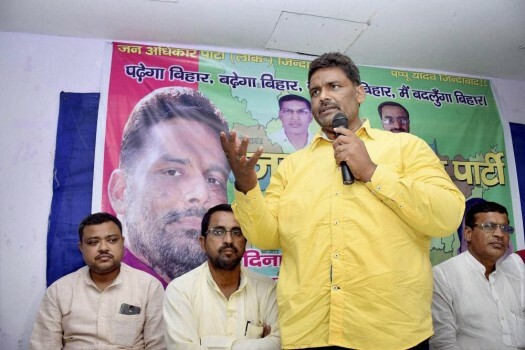 Jan Adhikar Party chief and MP Pappu Yadav addressing a press conference in Patna. 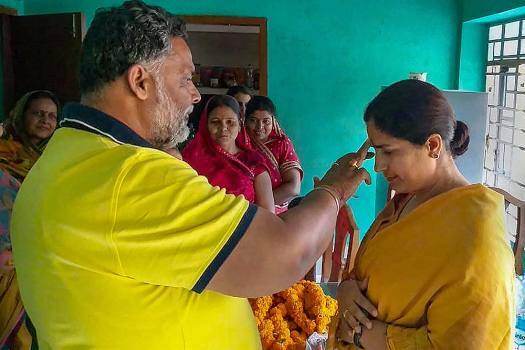 Jan Adhikar Party chief and MP Rajesh Ranjan alias Pappu Yadav arrest from his residence, in Patna. 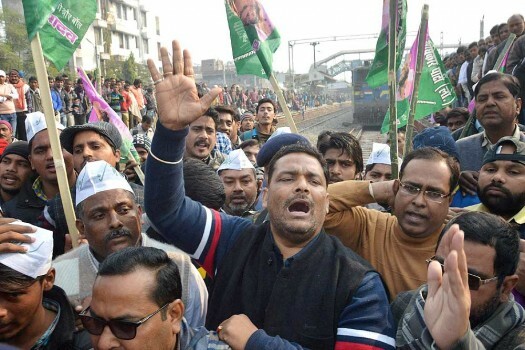 Jan Adhikar Party Chief and MP Pappu Yadav with supporters stops a train during a protest against demonetization at Rajendra Nagar terminal, in Patna. 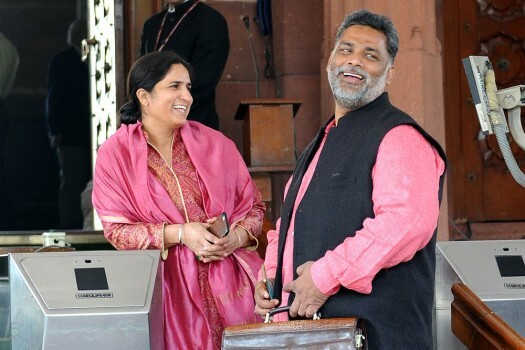 Pappu Yadav with his wife and Congress MP Ranjeet Ranjan during parliament winter session, in New Delhi. RJD leader Pappu Yadav meeting Dengue and chikungunya patient at RML hospital New Delhi. 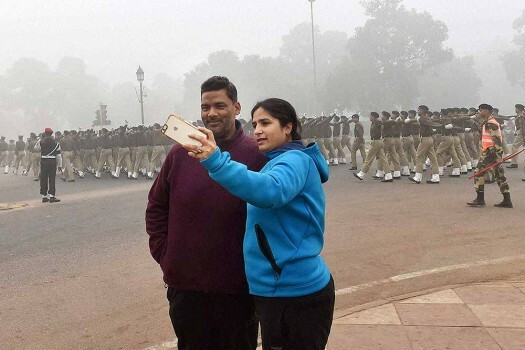 Jan Adhikar Party leader Pappu Yadav with his wife and Congress MP Ranjeet Ranjan and Congress MP Deepender Singh Hooda at Parliament during the monsoon session, in New Delhi. 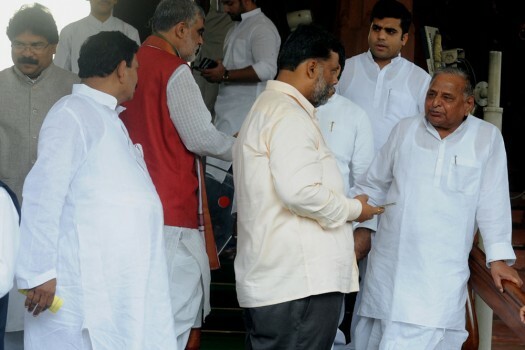 Samajwadi Party supremo Mulayam Singh Yadav and Jan Adhikar Party leader Rajesh Ranjan alias Pappu Yadav at Parliament during the Monsoon Session of Parliament, in New Delhi. 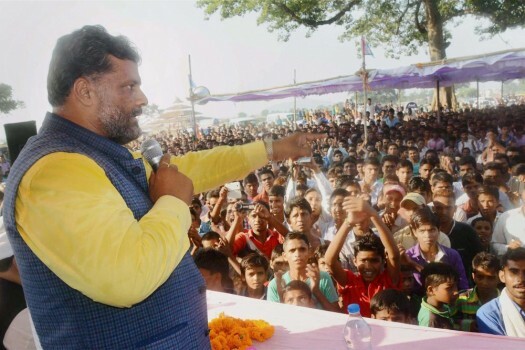 Jan Adhikar Party chief Pappu Yadav addresses a rally in Gaya, Bihar. 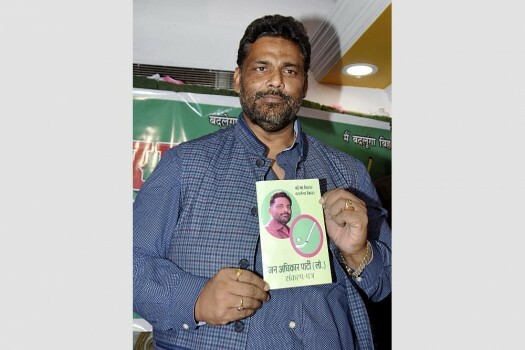 Jan Adhikar Party chief Pappu Yadav releasing his party manifesto during a press conference. 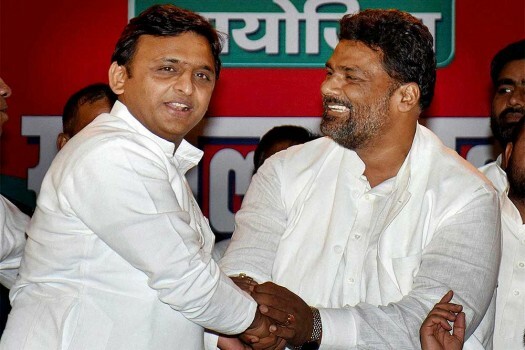 Uttar Pradesh Chief Minister Akhilesh Yadav greets Jan Adhikar party Chief Pappu Yadav during a party meeting for upcoming Bihar assembly polls, in Patna. Jan Adhikar Party chief Pappu Yadav addressing a party meeting in Patna. 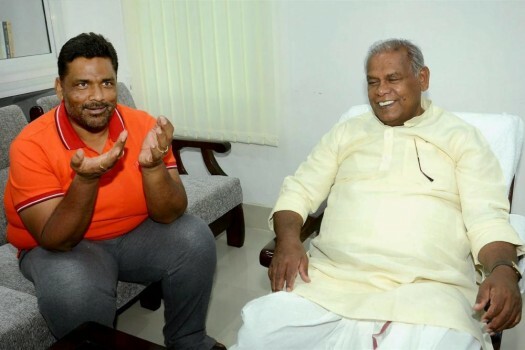 Jan Adhikar party Chief Pappu Yadav meets former Bihar CM and HUM Chief Jitan Ram Manjhi in Patna, Bihar. Sarthak Ranjan was also a controversial pick for Delhi during the last Mushtaq Ali campaign during which he scored 5, 3 and 2 aggregating 10 runs in three games. It has been reported that her wedding happened on a massive scale, with over 1 Lakh people as guests and chefs specially called from outside the city. 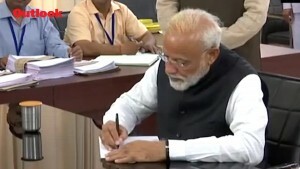 What Was Yuvraj Singh Doing At Parliament Today? 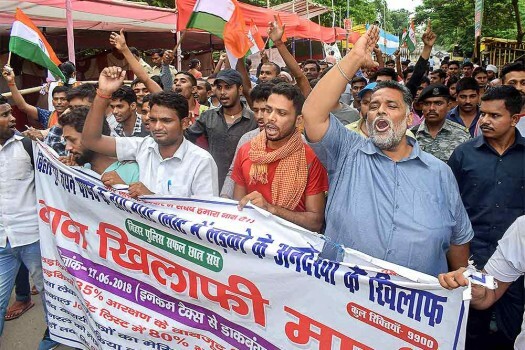 whatever goodwill Pappu Yadav had, he frittered it away by his ham-handed dealing with power and money.